A.K.A. Mountains and Molehills and WIPs, Oh My! If you’re fashionably late to the party, feel free to scoot over to Denise’s blog to see how this all works (goals, motivation, prizes galore). As we’re close to wrapping the first week of the Madness that is March, how is everyone doing, so far? Much like New Year’s Resolutions, sometimes we get super excited about all our plans only to find ourselves overwhelmed by our predicament. Despite all this, I knew I couldn’t miss out on hosting again for March Madness. 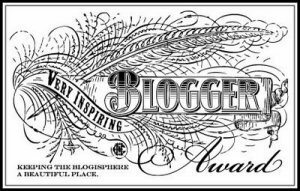 This amazing writing community is like the energy drink that keeps on giving. I’m so happy the community, the family, is growing this year, as well. Whenever you feel lost on your writing journey, know that we’re all here to help you find your way. It’s important not to lose sight of why we’ve all come together this March (and throughout the year with #WIPMadness) to support each other in the craft of writing and storytelling. We are writers, hear us, well, type and write (and roar, if you’re feeling frisky). There is method to our March Madness. Be sure to check in every day for more support and encouragement. We’ll see you at Dawn’s blog tomorrow. Until then, keep positive, keep laughing, and keep writing. 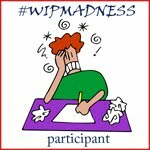 This entry was posted in FRIDAY FORAGE, March Madness, Writing/Reading Challenges and tagged #wipmadness, FRIDAY FORAGE, March Madness. Bookmark the permalink. I’ve always been a firm believer that the journey is as rewarding (and educational) as the destination. I’m constantly learning new things and how I can better myself as a writer. Much love for #WIPMadness! I was able to tackle the first chapter of my revision. Read up on cult’s and their leaders(research). Made lots of notes plus searched for more music to fit this project which is diverse/edgy/spirituals–if that makes sense! Love that William James quotation! As much of a loner as I am, I’ve learned the value of community. This writing community in particular is always a comfortable, encouraging place. I hope you’re figuring out how to balance your schedule and can reach your goals AND get adequate sleep. We all need sleep! Writing can be a very isolated activity, but I definitely search for those moments to break up the deafening silence (beyond the clacking of fingers to keyboard). Nice to meet you! I got derailed today!! And yesterday! By work. It does not help that my job has me writing for 99% of the time. My usual morning routine of writing for 30 minutes got pushed too much this week- and I couldn’t help it I have to make rent! But hopefully I can get back on track. Waaa. You’ll get back on track in no time. Life happens–and girl’s gotta eat, so work is important, as well. Feel free to commiserate, if you need to. The support system with our fellow WIPsters is outstanding whether it’s in March or any other time of the year. These check-ins really do help! Congrats on getting some writing done! Every word written makes a difference.